Legendary comedy duo Stan Laurel and Oliver Hardy come to life in Stan and Ollie as the film wisely centers on a narrow period of time. When people discuss biopics, they’re either praiseworthy or critical. Most of this is because films will sometimes cover such a long period. Playing the long game is never the best way to go about it. Jeff Pope’s screenplay wisely doesn’t go in that direction. There’s a quick cold open set in 1937 but the film wisely jumps to 1953 shortly thereafter. In the summer of 1937, Laurel and Hardy were at the pinnacle of their career as a comedy duo. The film starts as they’re shooting Way Out West. It’s one of the films starring the duo that were produced under Hal Roach (Danny Huston). It’s great because this moment serves as a callback reference at later points in the film. The two of them recreate the iconic dance to “At The Ball, That’s All” from the feature film. Here’s how much care goes into the film–the backdrop used is the exact same backdrop from 1937! Together, the two of them make the dancing look easy. Of course, it’s easier said than done. There’s such a massive amount of choreography that goes into numbers like this one. But this is just one part of the film. The film quickly cuts to 1953 when the two of them are touring across variety halls in Great Britain. The plan is to tour until the financing for their Robin Hood film comes through. Bernard Delfont (Rufus Jones) is the man who brings the two across the pond to tour. It’s been less than ten years since their last film together so their popularity has waned a bit. With shows sparsely attended, it takes some major publicity before they can fill the houses. Without the publicity, the duo would not have been able to book a sold-out two week run in London. It’s during the tour though in which the filmmakers painstakingly remake classic routines. Not only do Coogan and Reilly have to be perfect but they have to do so in front of an audience! Once Laurel and Hardy arrive in London, their wives, Ida (Nina Arianda) and Lucille (Shirley Henderson), join them. It allows for us to see the differing personalities come through the screen. In theory, the wives could perform their own comedy act. The two women could make for an interesting opening act. A lot more is known about Stan and Ollie than Ida and Lucille. Jeff Pope’s screenplay takes some licenses for dramatic purposes because not much is known of the women outside of the comedy acts. The third act really gives our emotions a go when Hardy’s health begins to fail. The two had a falling out previously when Hardy did another film under Roach but without Laurel. Laurel never forgave him for doing this. At the same time, Hardy was under contract with Roach so it’s not like he had much of a choice. This is Old Hollywood where actors work under contract! Anyway, Hardy’s health forces him into retirement but the show must go on. They give it their all in the final show together even when you fear the worst may happen. The makeup and prosthesis designed by Jeremy Woodhead and Mark Coulier are on key. I say this because their work really have us believing that Steve Coogan and John C. Reilly are the comedy legends. Look at the photos of Reilly as Hardy and then look at photos of Hardy. The resemblance is uncanny to say the least. Even when Coogan and Reilly are recreating the classic routines, this belief is never really in doubt. I’m a comedy nerd so it should come as no surprise how much I enjoyed this film. After all, it got on my radar the moment in which it was announced. This is a film that not only gives us Laurel and Hardy but the two personalities that make up the men. Jeff Pope’s screenplay offers us a full picture. Steve Coogan and John C. Reilly don’t let us down. The two actors are absolutely perfect in their performances. I would argue that this is a career-best for John C. Reilly and worthy of an Oscar nomination. Fans of classic comedy–especially comedy nerds–will most appreciate the joy that is Stan and Ollie. Sony Pictures Classics opens Stan and Ollie in select theaters on December 28, 2018. A theatrical expansion will follow. 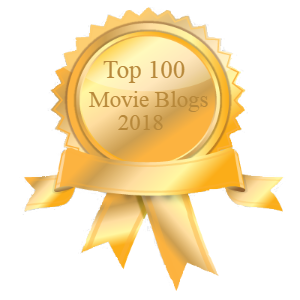 The post Stan and Ollie: Laurel and Hardy Come To Life appeared first on Solzy at the Movies.